The media has an undeniable impact on our lives. The media determines what we know and don’t know about news stories. It establishes the “norms” of society. The media even impacts the way people dress and behave. In many cases, people base their diet and exercise routines on what people in the media do. As a result, some individuals’ lives are heavily dependent on what they see in the lives of public figures, patterning their lives after the lives of others. They may even begin to unintentionally obsess over social media, a tool that allows them to see into the lives of well-known people. Sometimes, people find themselves working to obtain the physical characteristics of people in the media. Because of this, many researchers believe that there is a direct link between media and eating disorders. Could the media be one of the causes of the disorder you are fighting? How are Media and Eating Disorders Connected? Again, countless researchers have found the media to be somehow connected to eating disorders. 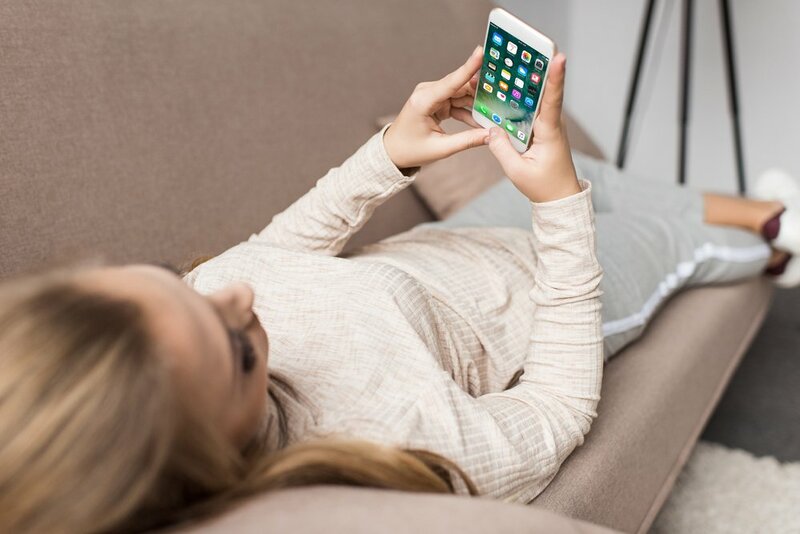 They’ve identified social media and other media sources as common causes of or, at least, contributors to the development of eating disorders in people’s lives. In addition to social media, other media sources include television, newspapers, and magazines. Whether a person spends time on a social media app or watching TV, she will certainly be exposed to the life of a public figure. Unfortunately, many individuals struggle to feel comfortable with their own lives, in their own skin. Sadly, most people deal with these insecurities. It can be difficult to face these thoughts and know how to deal with them. And, because it’s not easy to identify and work through these thoughts, people often fall prey to the negative effects of the media, which might include low self-esteem. And poor self-image can lead to eating disorders. Some people believe that the main reason behind the connection between media and eating disorders is the size of the women we see in magazines and on social media. While it may be true that the thinner figured women in the media tend to receive favor from the general public, we shouldn’t assume that everyone who develops disorders like anorexia nervosa does so because of the images they see in the media. Individuals do not simply choose to become anorexic or to deal with another type of eating disorder in an attempt to look like their favorite models. The truth of the matter is that these issues are mental health disorders, not choices. Still, however, people can certainly be influenced by what they see, feel, and believe. So, if the images we see in the media make us think negatively about ourselves, it’s possible for us to develop harmful disorders. Many times, people do not realize that they are developing eating disorders. Contrary to what a lot of people believe, these issues are not always obvious. You can’t always see the signs of an eating disorder in the weight or eating habits of those who are struggling with these problems. Sometimes, the early stages of an eating disorder are very difficult to identify. Still, there are some things that can indicate that the individual is developing a disorder. 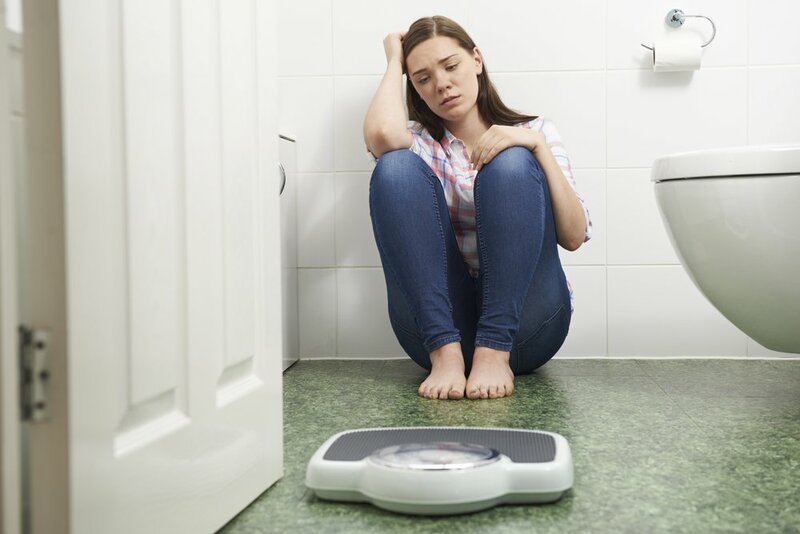 For example, as we discussed a little earlier, poor self-image or low self-esteem can lead a person to develop harmful habits that can result in an eating disorder. Perhaps, a woman who feels that she is too overweight may begin to feel very negatively about herself. She might begin to struggle with harmful thoughts toward herself. As a result, she might develop an obsession with exercising and have an extremely restricted diet. Perhaps you have noticed that your thoughts toward yourself are more negative than positive. Maybe you blame certain situations in your life on your physical appearance. And, you may have begun restricting your diet or overindulging. Has the media negatively influenced the way you feel and think about yourself? If so, you are not alone. Many other women are also dealing with these issues. But, it’s important that you resolve these issues right away. If you are dealing with an eating disorder, it’s time to end this struggle in your life. Contact us here at Willow Place for Women to get help in overcoming this disorder. Just call 1-888-651-4212.